How to Find Southern Yellow Pine | Wood. It's Real. | Wood. It's Real. Southern Yellow Pine — or SYP, if you’re in the know and like to talk like you text — is a great choice for just about any building project. If you’re an avid DIYer, you probably already know that it’s the premier choice for building home decks, playscapes, and for framing outdoor buildings like sheds and garage additions. So now that you’re ready to build with it, where can you find it? The good news is that Southern Yellow Pine is so popular — and for good reason! — that it’s easy to find at a home improvement center or lumberyard near you. You just need to know where to look, and what questions to ask. Almost every lumberyard sells SYP, because contractors and savvy DIYers demand it. The big national chains have it, and you can also find it at your local lumberyard. If it’s your first time buying raw lumber, you can get started by searching our handy map for a dealer near you. Once you find an outlet, call ahead to make sure they have what you want — it’s always a good idea to ask for Southern Yellow Pine by name! Depending on where you shop, your lumber may be divided into several categories. To find your SYP quickly, you should know that pine is a softwood, not a hardwood, and it will likely be categorized that way. Don’t worry, though: Southern Yellow Pine is one of the hardest, most dense types of pine, so it functions well for strength and durability. Finally, you’ll need to know what you plan to use your SYP for. Lumber is graded based on appearance. 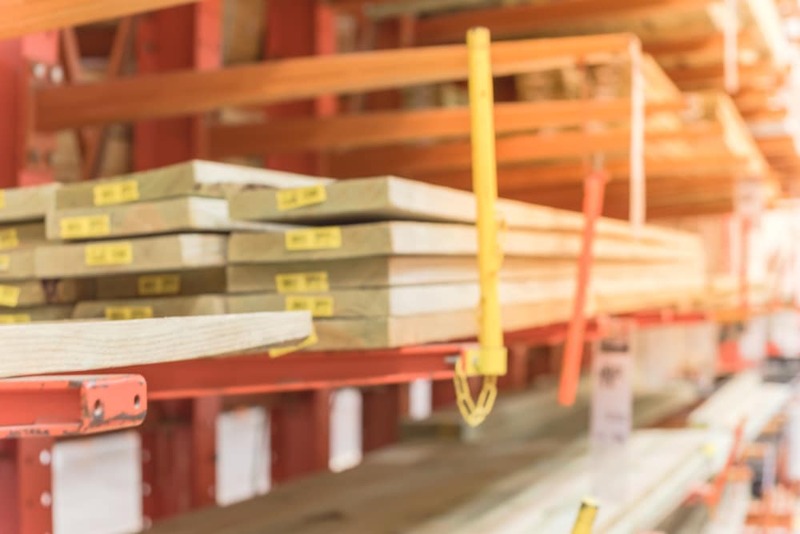 Structural lumber (like a 2×4 or a 4×4) is rated on strength and is ideal for building. You can also buy boards in “common” or “select” grades — go for “select” if you’re looking for a knot-free finish. Southern Yellow Pine is also available as pressure treated lumber for outdoor use, so be sure to head to that section if you’re building a deck or anything that will touch the ground. Once you find what you’re looking for, double-check the species of wood on the label to make sure you’re picking up genuine SYP. If you’re not sure, just ask! The folks at the lumberyard know their stuff, and they should be able to point you in the right direction. The Lumber Aisle = Not Overwhelming. Promise.